1947 Chevy Sedan Photo Picture Classic Cars for sale & Classifieds - Buy Sell Classic Car & Classic Truck Classifieds. 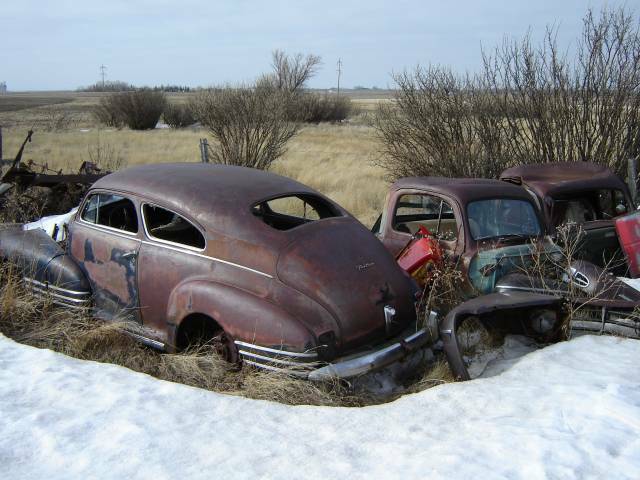 Neat old '47 Chevrolet Aero Sedan thats been left to rust away, not for sale as the owner has hopes of restoring it someday! Real shame, I think I could save her. It's a Pontiac. Chevy didn't have the trim lines on the fenders. These are gigantic cars, but very cool. 2 door fastbacks make great cruisers. Not going to be much left by the time he gets to it. "Going to fix it up someday"; we've heard that somewhere!